English votes for English laws is going through, not many people can have any complaint about this. After all the only people who should be making laws that concern England are the people of England or those who they have chosen to represent them, be that in London or in Brussels. 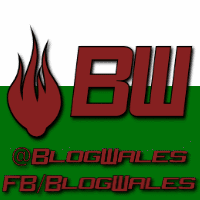 What people from outside of England will complain about is the fact that there wont be such a thing as Welsh votes for Welsh laws or Scottish votes for Scottish laws. 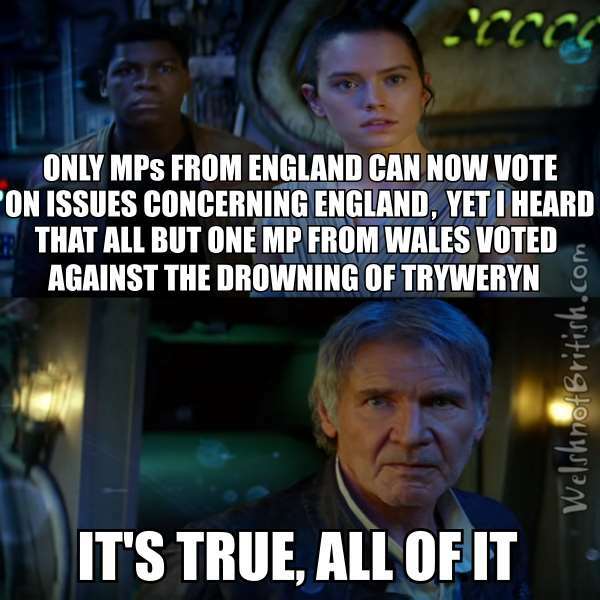 The irony of EVEL passing almost 50 years to the day that Tryweryn was forced through despite the opposition of all but one of Wales' 36 MPs will be lost on the London based media. They will be too busy desperately scrambling for examples of where the London based Labour party has changed laws in England with the help of Labour MPs from outside England. Ever since starting the blog and associated social media accounts I have received a steady stream of 'fan mail'. Some of which I kept screen shots of but the vast majority I didn't. I thought it would be interesting to show these off because some of them are hilarious. I'll blank out the names of the people commenting and will update the page as and when I accrue a few more gems. Apart from the obvious, highlighting the names would be in breach of who knows how many rules from the sites in question. I've also colour coded them so you know if it was a male or female commentating.